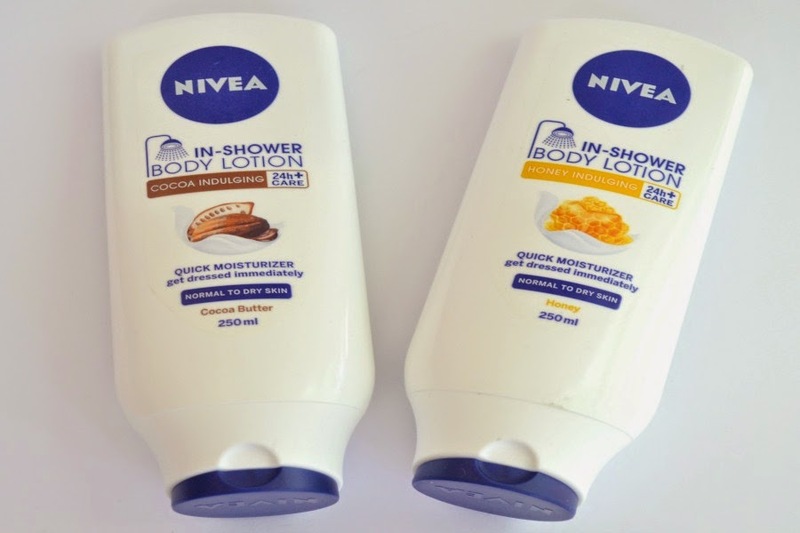 I've mentioned countless times on the blog the Nivea In-Shower Body Lotions. I first reviewed it here and have bought so many of them in the last year that I actually can't remember how many bottles that I've bought. Whenever I see Priceline, Chemist Warehouse, Coles or Woolworths have them on special, I always stock up. They have recently added 2 new additions to the family and I have to say that these are even better than the original versions!! They have released a cocoa version and a honey version. The biggest change with these is the added scent. The original ones had a slight scent, but it had more of a bland moisturiser scent. These reflect the cocoa or honey scent. Just like the original versions, you apply them while your skin is wet and then rinse off. They're so moisturising that you can skip moisturiser afterwards. My skin has been so dry lately so I still actually apply a moisturiser afterwards for added hydration. I was using the Garnier Intensive 7 Days Rich Repairing Lotion (as seen here in my dry skin post) but finished it and am now using the Nivea Pure & Natural Body Lotion. 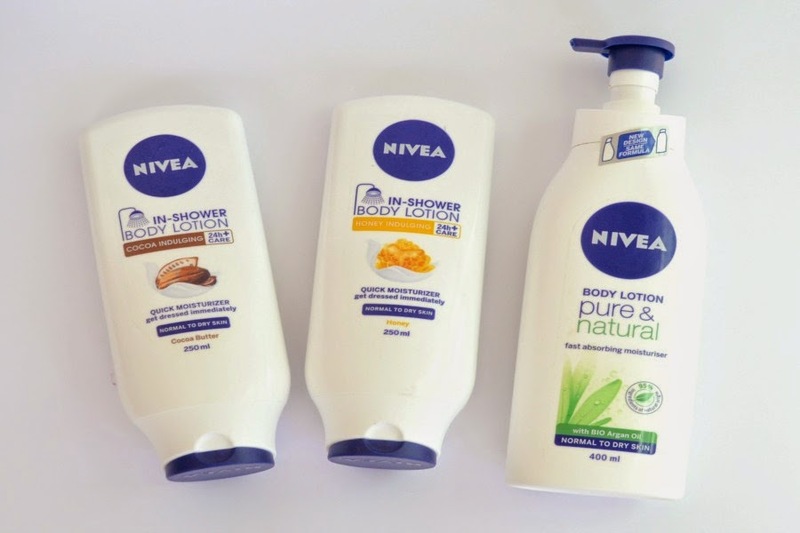 * Both the Nivea and Garnier body lotions layer well with the in-shower lotion. The only drawback from this is the fact that it's only available in a 250ml bottle, unlike the original version which are 400ml. I would love for them to be released in a larger bottle. They retail for $6.50, but are regularly on sale so buy up when you see them on special. I'll be sticking to the new formulas from now on, especially the honey one. While I like the cocoa version, the honey one was love at first use. Are you obsessed with the in-shower body lotions like I am? PS Chemist Warehouse currently has them on special for $5.39 until Sunday 2nd of November. i haven't tried the Aveeno one, but will check it out today. You wont regret buying these!! Yum! These sound good enough to eat! They really are! They smell so lovely. Ooh, what lovely scents. Although I think the original is amazing, I was never overly keen on the smell. These I'd love to try! I agree about the scent in the original ones. You'll love these!